Since I teach at an art school in Brooklyn, it seems only right that I mention two terrific Chicago artists coming to town this Friday. 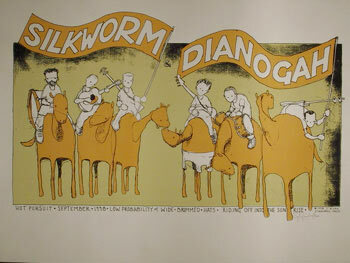 I first became aware of Jay Ryan’s work when his band Dianogah played a show with Silkworm in Pittsburgh in the late 1990s. The band had some nice shirts for sale alongside their records. They toured together again the following year and had some nice (entirely different) shirts. 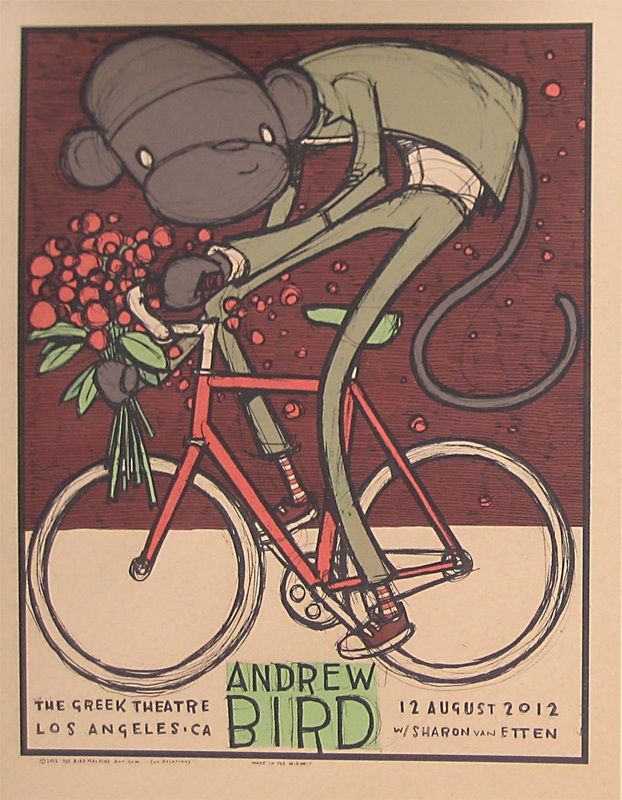 Both were designed by Jay, as was the tour poster (which now sits, framed, in my hallway). As it turned out those designs were the tip of the iceberg of Jay’s work. 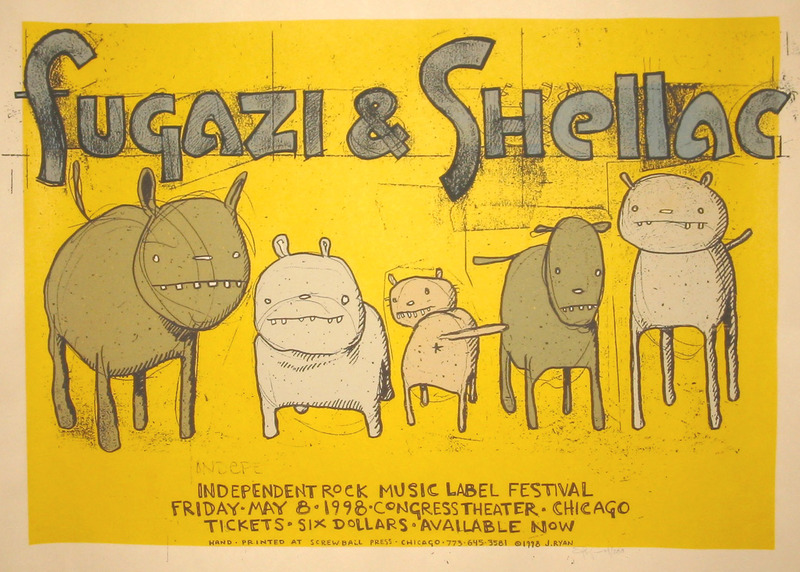 In the years since, he has designed hundreds of posters as well as sundry shirts and album illustrations for his own band, Shellac, Fugazi, Andrew Bird, Modest Mouse, Jeff Tweedy, and many more. 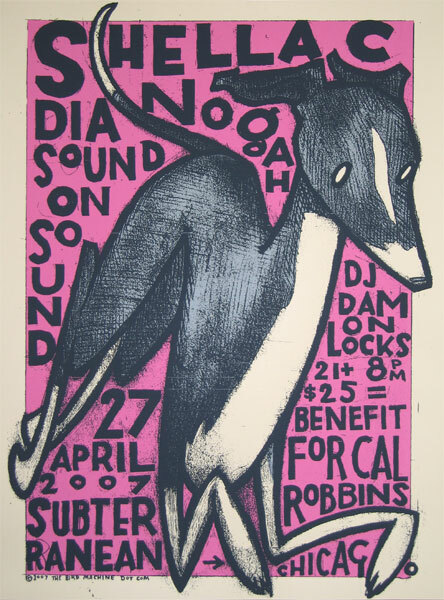 Several of his posters were compiled in the books 100 Posters/134 Squirrels: A Decade of Hot Dogs, Large Mammals, and Independent Rock and Animals and Objects In and Out of Water: Posters by Jay Ryan 2005-2008. His work is available for purchase at The Bird Machine. This show features Jay presenting work with his wife Duana Sudyka. Jay and Diana both incorporate a wide variety of creatures in their work, and both have developed beautiful posters for bands. Diana’s art reflects her work at Chicago’s Field Museum of Natural History (which also employed a few of my colleagues when I worked up the street at Roosevelt University). On Friday, November 8, Jay and Diana will attend the opening of a Cotton Candy Machine (235 South 1st Street in Williamsburg) show featuring their work entitled They Didn’t Believe Me, But I Knew It Was There. If the links above appeal to you, consider coming by Friday evening to meet the artists. The show runs through December 8. This entry was posted in events on November 5, 2013 by Carl Zimring.